The recent scandal involving an sheriff’s deputy under investigation for inappropriate conduct is a bitter reminder of why I should’ve kept some kind of diary during my 20s. 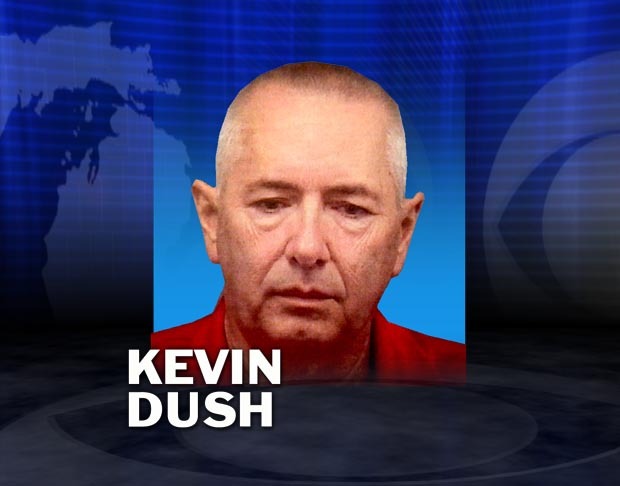 So why am I writing about Kevin E. Dush, a sheriff’s deputy in a town more than two hours away? Well, nearly 20 years ago, that same deputy was very friendly and helpful to this young newspaper reporter in a town where many of the police treated the media with a sense of barely-concealed disgust. Today, Dush is alleged to have, among other things, sent a series of inappropriate sexual text messages to a 24-year-old woman he arrested for shoplifting. Upon hearing of this, I recalled an incident between him and I that’s been burned into my brain… and bears an eerie resonance to the unfortunate circumstances that surround him today. As if on cue, several male cops from other area police departments descended upon the young female deputy like turkey buzzards zeroing in upon a freshly-killed raccoon. In bold and brazen displays of unoriginal macho energy, these police peacocks unfurled their proverbial plumage in hopes that the dazzling displays of purple and green would be to her liking. In retrospect, the young lady seemed uncomfortable amidst all this testosterone-fueled attention, and Dush and I shared both our disgust and an unspoken understanding of the bizarre floor-show commencing before us. Now, more than 20 years later, I find myself trying to place that moment in the greater context of what he is facing today. Was Dush an upstanding guy who underwent some strange transmogrification during his ensuing years on the job? The newspaper article mentions that Dush twice unsuccessfully ran for Sheriff during his time as a deputy; perhaps this and many other of life’s disappointments became too much for him to bear and he just snapped. As someone whose long hours on the job contributed to a nervous breakdown and my own downward spiral, I can certainly relate. Or maybe Dush was just another “horndog” all along and he was merely projecting these feelings onto his macho brothers-in-blue that day. It’s just as likely that the behavior of the officers provided Dush an uncensored glimpse of his own proverbial reflection in a rather harsh and unforgiving mirror. This is not unlikely, since projection is something many people engage in daily as a means of protecting their egos. In the end, we’ll likely never know what urged Dush down that rather dark and self-destructive path; he and he alone will have to struggle with the shame of his actions. For whatever it’s worth, I hope he’s able to find a way to keep those somber feelings from crashing down upon him like a tidal wave, pushing him under until he riptide drags him beyond the buoys and leaves him out where the sharks swim. No matter what happens, I’ll always remember him as the friendly, helpful deputy who always took he time to offer a smile and a kind word to a young newspaper reporter looking to make a name for himself. To bring this full circle, it’s times such as this that made me wish I would’ve kept a journal back then. After all, being a cops and courts reporter gave me a firsthand look at some of the vilest human behavior… and some of the criminals were pretty bad, too. Those names, faces, and downright bizarre incidents that were once part of my daily beat would have made a great book, especially with updates on where the key players are now.